Families of 43 missing students joined protesters outside the presidential palace in Mexico for a Christmas eve prayer. Today Christmas does not exist for us because there is somebody important who is missing in each family. Holding posters of their children they called for justice for the student teachers who went missing on September 26 in a suspected massacre in the city of Iguala. For the families of the missing, it will be the first Christmas without their loved ones. The protesters intend to remain in the capital to lead a march on Friday to commemorate the day the students disappeared exactly three months before. So far DNA tests have confirmed the identity of a single student. The remains of Alexander Mora, 19, were found at a rubbish dump earlier in December. 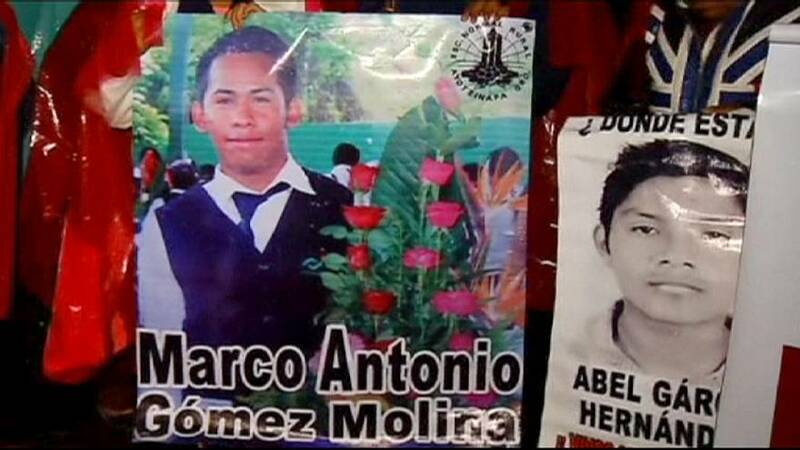 He is believed to have been among the students who went missing in the city of Iguala in Guerrero state. However, some of the protesters still hoped to find others alive. The disappearance has been linked to corrupt local government and federal authorities, igniting sometimes violent protests across the country.